Welcome to Ekocamp, where your child can have an unforgettable adventure in our sports and educational camp. If your child is aged between 10 and 16 we have the right activities for him/her to have fun and learn all summer long. Ekocamp offers resident summer camps for children of all ages, and has been a family tradition since 1971. For generations, families have been coming to the scenic foothills of the Laurentians mountains to attend our the summer camps. We provide campers with a fun and educational experience. Our campers are well supervised by a highly-trained staff. The caring and devoted counselors guide campers through new adventures as they learn new skills, meet new friends and achieve each goal, one step at a time. At our camp the children can enjoy themselves to the fullest, learn new skills and experience new cultures. Most of the children return from our camp more confident and open to new ideas. The focus is on sensitization of the child to self and her/his environment. Visit Ottawa, Montreal and Quebec City or enjoy waterpark or raftings excursions. If you require additional information, please call us or send us your question in the form at the bottom of this page. Montreal is a popular destination in the summer. Don't forget to reserve your flight early! In our teen summer camps we take special care to design programs that open campers' eyes to new cultures, people, ideas and situations. 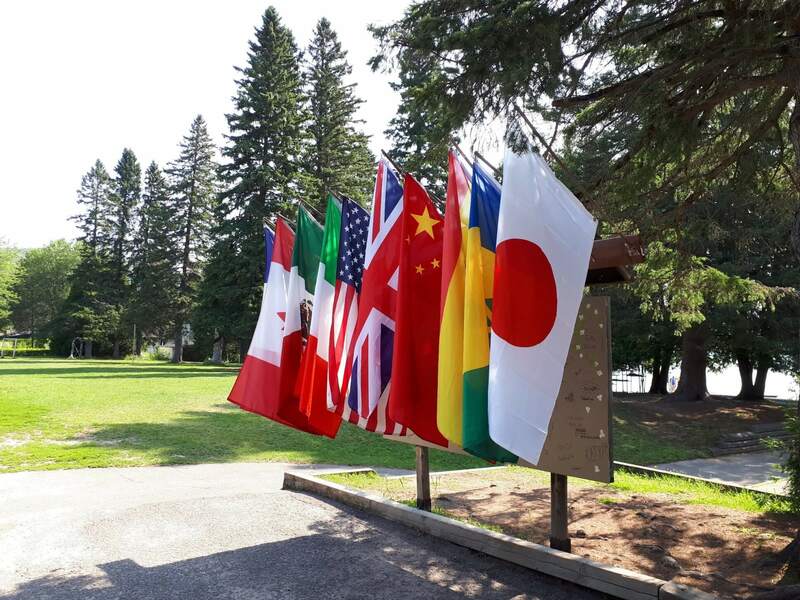 During our 35 year history, our camp received campers from over 25 countries. Our programs and activities help campers explore aspects of being a responsible citizen of the world. Underlying the fun and adventure is a strong commitment to experiential learning and to the personal growth and development of each individual camper. We focus on teaching respect, responsibility, leadership and appropriate risk taking, while learning through discovery. 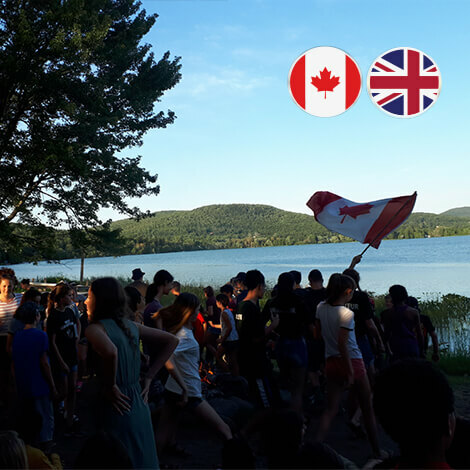 Camp established since 1994 and which receives each summer children from 15 different countries, whom are well integrated with the Canadian kids. 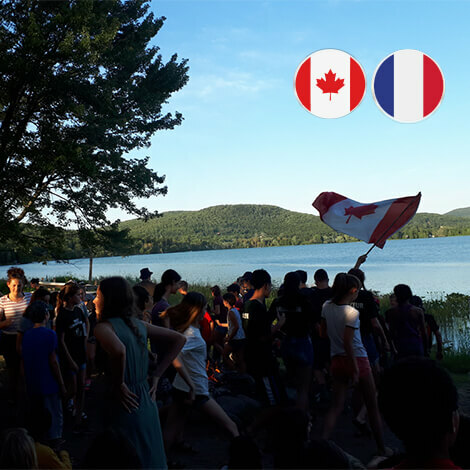 One of the best international summer camp in Canada for kids! All activities are conducted in French or English. Optional classes are offered to children to learn in a fun way while having effective learning. 12 to 15 hours of group instruction per week. Every 3 days, photos and videos will be available online on our website. We proudly hold a "electronic-free" policy at camp. Email service between parents and kids always available. Cultural trips to Montreal,Quebec city and Ottawa. Transport service from/to Montreal airport. More than 20 different outdoor and sport activities.
" My 15 year old son enjoyed his time at Ekocamp. He very much liked the counselors, and especially enjoyed his trips to Quebec City and Montreal. Now he's thinking about the ASPI counselor in training program next year. " " A place where children are in harmony with nature ... counselors and directors are wonderful ... just amazing! " © 2018 Ekocamp International all rights reserved. | Site made by Claudia Rol of Imprimerie Léonard Inc.